Madison Square Garden, New York City - In the co-main event, Tevin Farmer (28-4-1, 6 KOs) of Philadelphia, Pennsylvania successfully defended his IBF Super Featherweight World Title against Francisco Fonseca (22-2-1,16 KOs) of San Ramon, Costa Rica via 12-round unanimous decision. Farmer won with three scores of 117-111. "It was a good performance," said Tevin Farmer. "He was really, really tough. And after a few rounds, we saw that and we started working on things. It's all a road to improve. I say it was a C+, B- performance. Nowadays, I really have a lot of anger built up, good anger though, and I just want to hurt everybody when I'm in the ring. I don't have no sympathy." "I've been on the road this whole year...I wanted to just let everybody know that I'll be home in Philadelphia in March, I'm bringing everything back home baby. Who wants to fight me? That's the question." 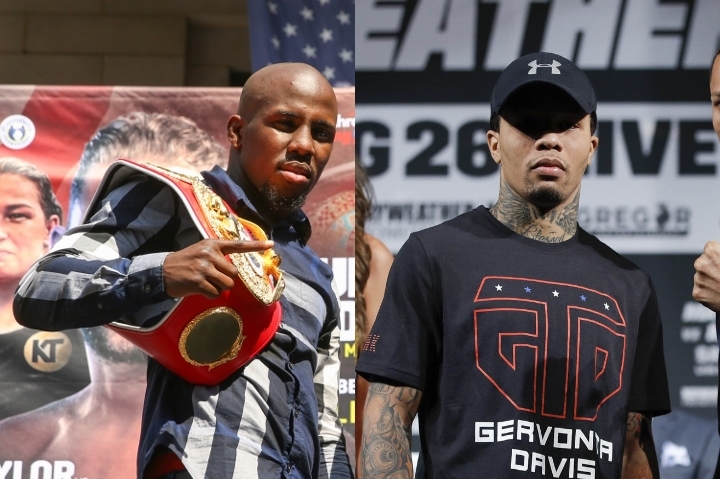 "Is that the fight that I want [against Gervonta Davis]? We've moved past him. Does he want to fight me? Like I said, we active, we getting paid. It's time for him to fight and stay active and then he can come see me." Also on the card, Sadam Ali (27-2, 14 KOs) of Brooklyn, New York defeated Mauricio Herrera (24-8, 7 KOs) of Riverside, Calif. via unanimous decision in a ten-round welterweight battle. Ali won with scores of 100-90, 99-91, 98-92. Davis is too busy dragging up war-torn 126 lbers than to fight somebody relevant in his weight class. Ehhh... See nothing special in Farmer. Tank would smash dude with ease.